How can artists and arts managers/administrators contribute as citizens of a democ­racy? In what ways can people committed to the arts serve the wider world through their work? Clark University in partnership with WCMS is offering a course which will explore arts education and policy as it relates to positive social change, and examine artistic initiatives that have been focused on positive social impact. We will examine these questions from the perspective of theorists, educators, teachers, administrators, and artists. 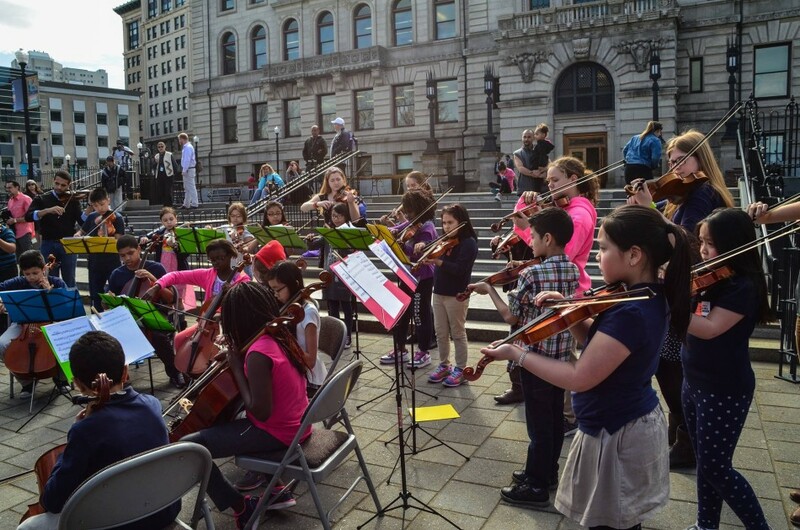 All participants will have hands-on opportu­nities to engage with the community as part of the course, including working with youth in Neighborhood Strings and/or interning with the Worcester Chamber Music Society. Internship opportunities include marketing, communications, event planning and data collection.